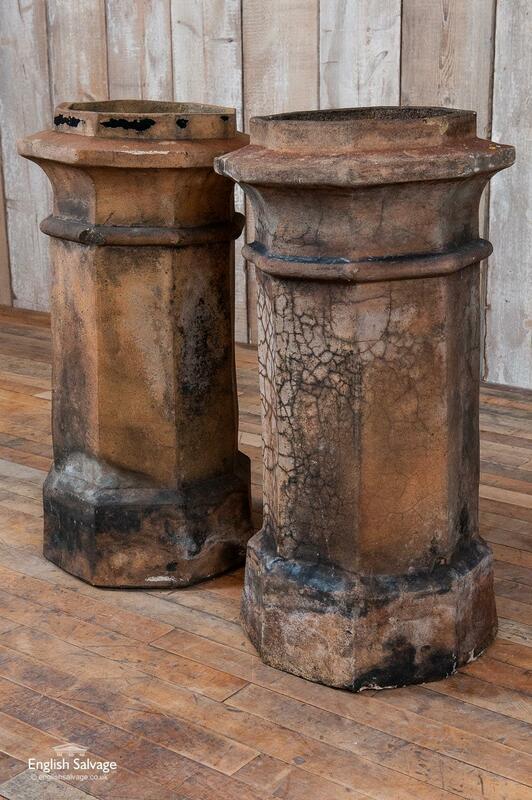 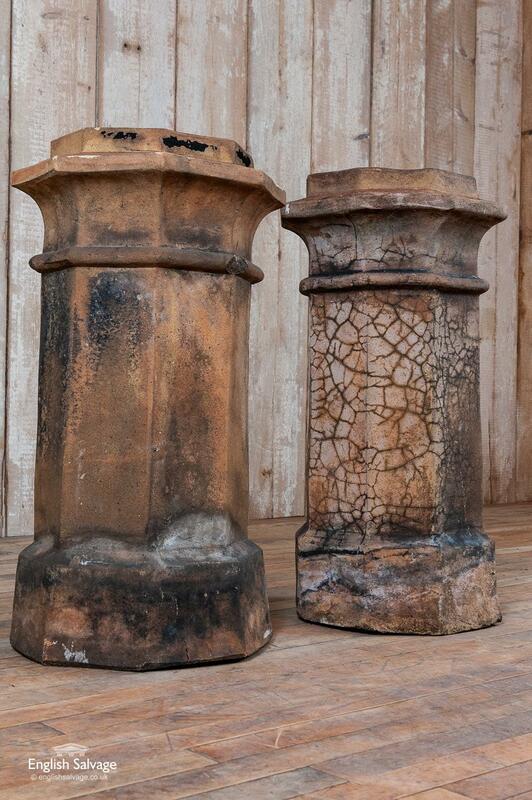 Salvaged octagonal chimney pots in buff. 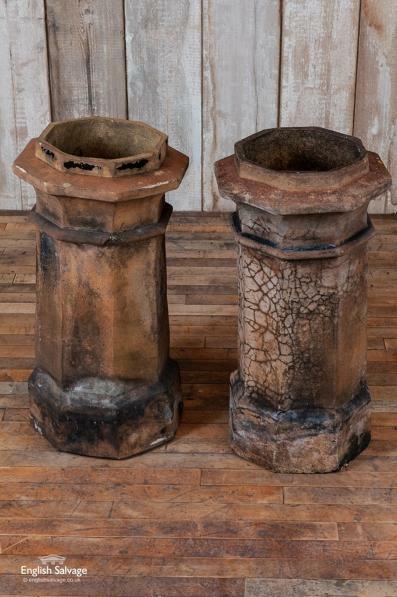 Moss, lichen and soot lend an attractive aged appearance to them and one has a superficial crackled effect from weather damage, but overall they appear to be in sound condition. 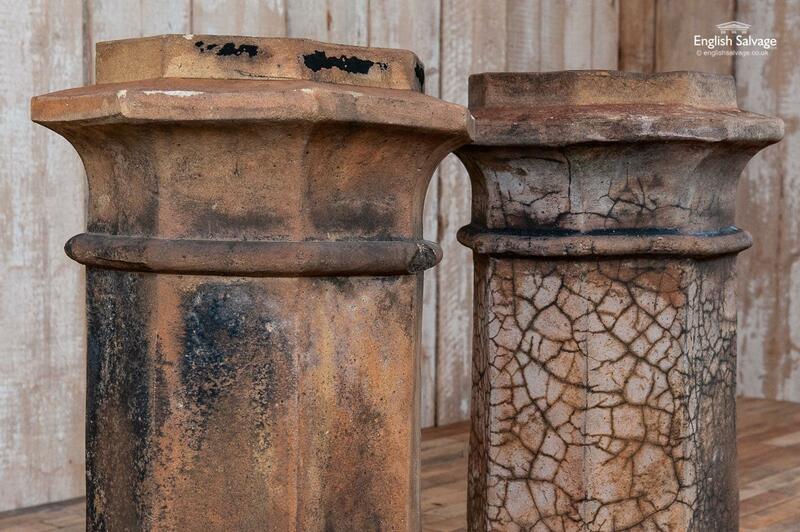 Overall dimensions are given below and the lip at the top measures 35cm from flat edge to flat edge.